Budget should have rationalised food-fertiliser subsidies to raise agri-investment. With business as usual, agriculture cannot get on a growth trajectory of 4 per cent plus. Its neglect may eventually cost the nation heavily, politically and economically. The Union budget is largely about the intentions and policies of the government of the day, as well as the arithmetic of resource mobilisation and allocation to achieve certain ends in the economy. The diagnostics of various economic problems and their probable solutions are generally found in the Economic Survey. 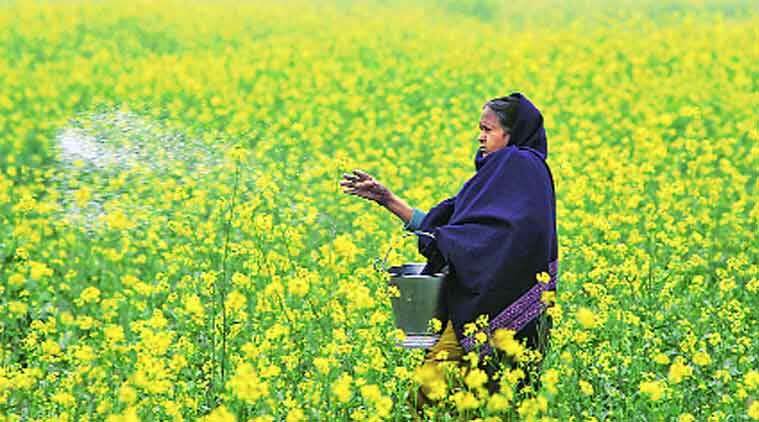 The Economic Survey clearly indicates that growth in agri-GDP in FY15 has collapsed to just 1.1 per cent, while the overall GDP is likely to grow at 7.5 per cent. In fact, for the first three years of the 12th Five Year Plan, the average rate of growth in agri-GDP is a meagre 2 per cent, half of the target set for the plan, and also half of what was achieved during the 11th Plan (4.1 per cent). If this is the reality of the sector that engages almost half of India’s workforce, it does not auger well for us, politically or economically. There has to be a major shake-up in policies and allocations if agriculture is to be brought back into shape. Just as a person suffering from swine flu cannot be cured by just gargling, marginal changes in allocations cannot cure agriculture of its deep-rooted problems. Recommendations of the Shanta Kumar Committee provide useful suggestions for the future roadmap of food policy. Every effort should be made to bring states on board for creating a national common market for agricultural commodities”. So, the government knows the solution, but has the finance minister carried this through in his budget? The finance minister admitted that farm incomes are under stress, and that is one of the five key challenges identified by him. His strategy to improve this situation is to allocate Rs 5,300 crore for the Pradhan Mantri Gram Sinchai Yojana, to achieve “per drop more crop”, a slogan used by the prime minister. But his major reliance is on the credit system for farmers and the Rural Infrastructure Development Fund (RIDF) under NABARD (National Bank for Agriculture and Rural Development). These schemes have been in existence for long. The new allocations are not earth-shaking and cannot resurrect a sagging agriculture. Also, it is not spelt out how a common market for agriculture will come about, although it is urgently needed. For more than a decade, the agriculture ministry has been writing to states to reform the APMC (Agricultural Produce Market Committee) Acts, without much success. Will this now be taken over by the NITI Aayog, as its first challenge under cooperative federalism? Farmers must have the freedom to sell their produce to anyone, anywhere. Besides, taxes, levies and commissions on agri-commodities across states need to be rationalised to less than 4 per cent, currently ranging from less than 2 per cent in Gujarat to about 14.5 per cent in Punjab. This is a challenge that a statement in the budget cannot solve, unless it is followed up with the utmost urgency at the highest level. But the biggest challenge for the finance minister, in raising agri-GDP growth, is to drastically raise public investments in agriculture by rationalising food and fertiliser subsidies. There is a total silence on that front in the budget. With business as usual, agriculture cannot get on a growth trajectory of 4 per cent plus. Its neglect may eventually cost the nation heavily, politically and economically. The Narendra Modi-Arun Jaitley team needs to avoid falling into the trap of “India Shining” when the rural sector is sagging. This is a wake-up call.